Sculpture in the great outdoors. Photo courtesy of Fundacion Pablo Atchugarry. 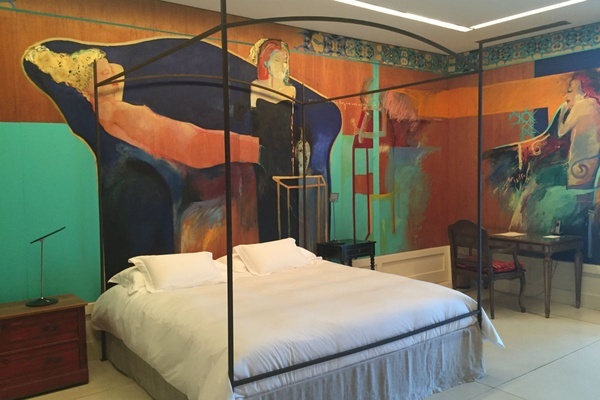 Uruguay's stylish resort town (a St. Tropez for South America), has a treasure trove of high-caliber art ready to be appreciated and admired. You just have to know where to find it. PUNTA DEL ESTE, Uruguay – I've found great art in Paris, Marfa, Rome, and even South Africa (I wrote a whole college thesis on that one). Where I didn't expect to find it? Punta del Este, Uruguay. The arts scene isn't new in Punta del Este. The beachside town has been to South American artists what the Hamptons were to Jackson Pollock and Andy Warhol. In other words, an escape. But, with increasing numbers of international visitors heading to the Uruguayan coast each year, and bringing their money with them, the art scene is on the rise. These are the places, both old and new, to know. Inside one of the galleries at Fundacion Pablo Atchugarry. Photo by Victoria Lewis. Montevideo-born sculptor Pablo Atchugarry is arguably one of Uruguay's best-known artists. Though famous for his large-scale abstract marble pieces, his non-profit hosts exhibitions of works in many media by emerging local artists as well as bigger names. 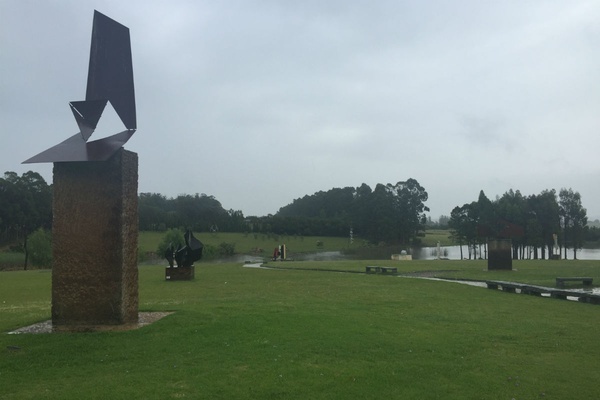 In addition to the rotating gallery shows, the grounds have a sprawling sculpture park (like an Uruguayan Storm King) that is perfect for an afternoon stroll. Sculpture Garden at Fundacion Pablo Atchugarry. Photo by Victoria Lewis. 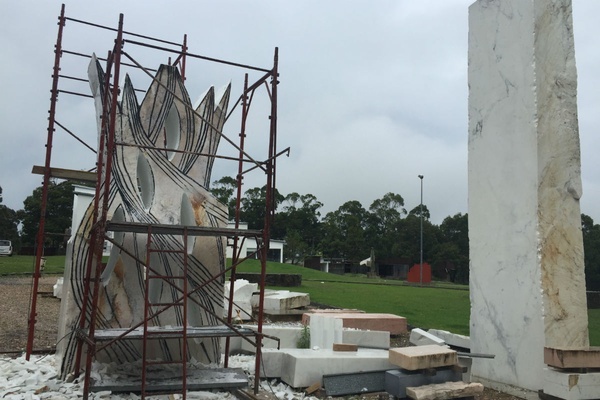 Large scale marble works in progress by Pablo Atchugarry. If you're lucky you'll come by and see him at work on one of his pieces. Photo courtesy of Victoria Lewis. Last year, art dealer Piero Atchugarry followed in his father's footsteps and opened his own gallery in a beautifully renovated stable on a 400-acre ranch. 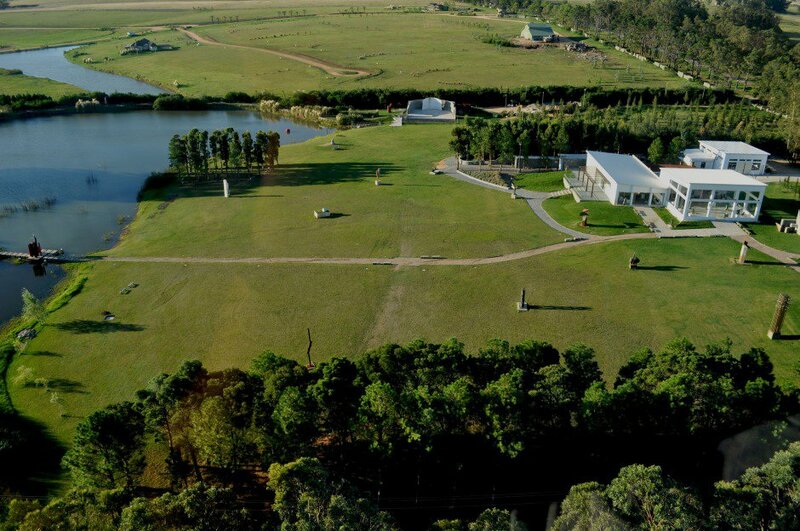 Like his father's foundation, the grounds have a 54-acre sculpture park with works by artists from around the world. The gallery also hosts artists-in-residence during most of the year. Cool fact: After an artist finishes a residency, he or she leaves a site-specific piece in the sculpture park. 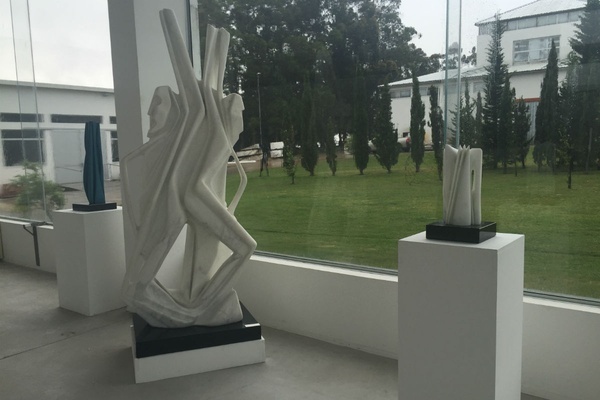 A cool museum close to downtown Punta del Este in the Beverly Hills neighborhood (it's actually called that). According to my all-knowing driver, it is only open when its benefactor, big-time Uruguayan banker Harry Recanati, is in town, which is most weekends and weekdays during the season. Sadly, I didn't get to see it, but lucky visitors will find a collection of pieces by famous Latin American artists like Fernando Botero and surrealist masters like Salvador Dali. Really lucky visitors will get a tour by the avid collector himself. Terrace at Casapueblo. Photo by Victoria Lewis. 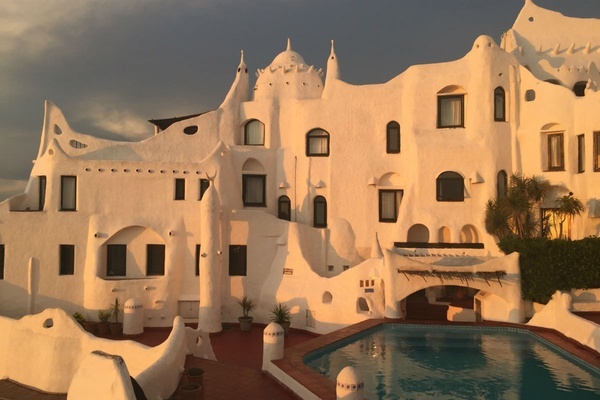 Hand-built by the late Uruguayan artist Carlos Paez Vilaro (a member of the school of Picasso), the massive and vaguely Santorini-esque structure of Casapueblo took 36 years to complete. The story is that Vilaro, who used the space as a home and studio, allowed fellow artists to take up residency in one of the building's many apartments in exchange for help working on its whitewashed façade. Now, the large part of the building is a hotel with 70 different room types, while a few rooms serve as a museum and gallery selling works by the late artist. The terrace at Casapueblo is widely known as one of the best spots to watch a sunset in Punta del Este, and I uphold this assertion wholeheartedly. 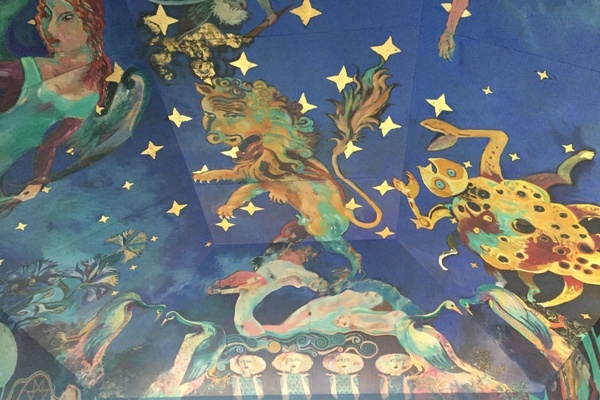 The ceiling at Bahia Vik, painted by Carlos Musso. Photo by Victoria Lewis. The Musso Suite at Estancia Vik, designed by Alex and Carrie Vik in collaboration with Carlos Musso. Photo by Victoria Lewis. If you want to immerse yourself in art after hours, book one of the Vik hotels. The countryside and beachside and all offer unique artist-designed rooms (each one is totally different). The lobby of Playa Vik even houses a Zaha Hadid table and bench and a James Turrell light installation. Victoria is a New York-based travel, beauty, and fashion writer. You can follow her on and at @victoriaalewis. She travels for the excitement of waking up in new places and for the cheese.